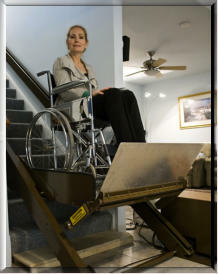 At CARE, we install wheelchair lifts (sometimes called platform lifts) for home entry and floor to floor accessibility. Our lifts come with an array of options and weight lifting capacities and can be installed for either indoor or outdoor use. 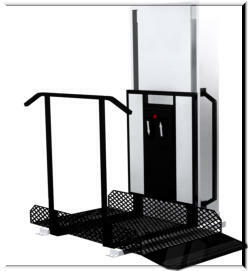 Vertical wheelchair lifts are used to access the home where a porch or stoop is present and a wheelchair ramp is not feasible due to space constraints. 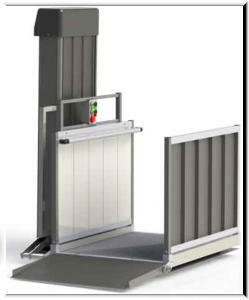 Inclined wheelchair lifts are used on stairways for floor to floor access for the wheelchair bound, allowing the freedom to once again use the entire home.